Bite. Melee weapon attack: +7 to hit, reach 5 ft., one target. Hit: 7 (1d8 + 3) piercing damage. If the target is a creature, it must succeed on a DC 15 Strength saving throw or be knocked prone. Bite. Melee weapon attack: +7 to hit, reach 5 ft., one target. Hit: 8 (1d10 + 3) piercing damage. If the target is a creature, it must succeed on a DC 15 Strength saving throw or be knocked prone. Bite. Melee weapon attack: +8 to hit, reach 5 ft., one target. Hit: 9 (1d12 + 3) piercing damage. The target must succeed on a DC 17 Constitution saving throw or be infected with rabies. If the target is a creature, it must also succeed on a DC 16 Strength saving throw or be knocked prone. Radioactive Aura. 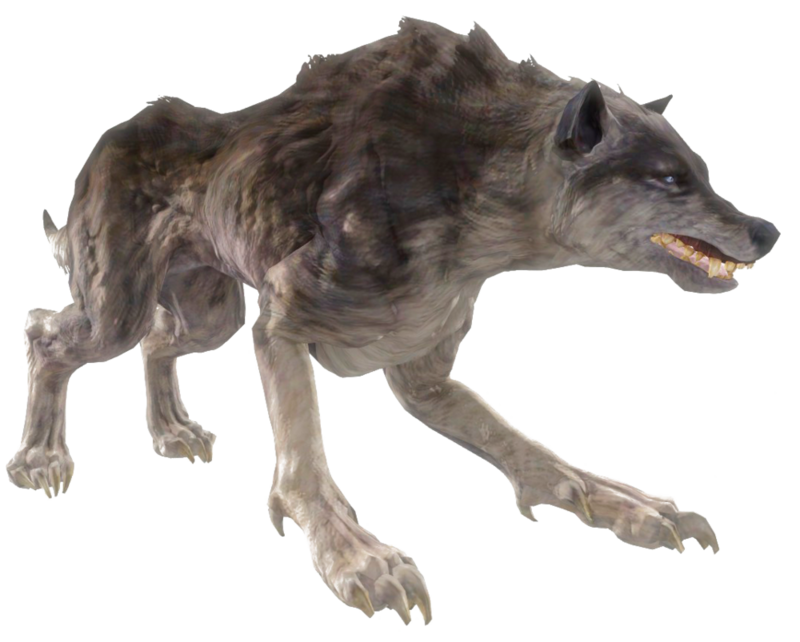 A creature that begins its turn within 10 feet of the glowing wolf takes 6 (1d12) radiation damage. Radioactive Glow. The glowing wolf sheds bright light in a 20-foot radius and dim light for an additional 20 feet. Bite. Melee weapon attack: +8 to hit, reach 5 ft., one target. Hit: 9 (1d12 + 3) piercing damage and 9 (2d8) radiation damage. If the target is a creature, it must succeed on a DC 16 Strength saving throw or be knocked prone.